If there is ever a reason to eat more cheese, I am all over it. Hands down, cheese is probably my favorite food. My mom said she ate a lot of cheese when she was pregnant with me. Right, Mom? So I assume that is why I love the stuff so much. Of course, we all know and love cheese trays around the holidays. You’ve got yellow cheese, white cheese, and maybe Swiss. Add in some pepperoni, possibly some salami, and a spicy mustard and you are set. It’s entertainment gold. 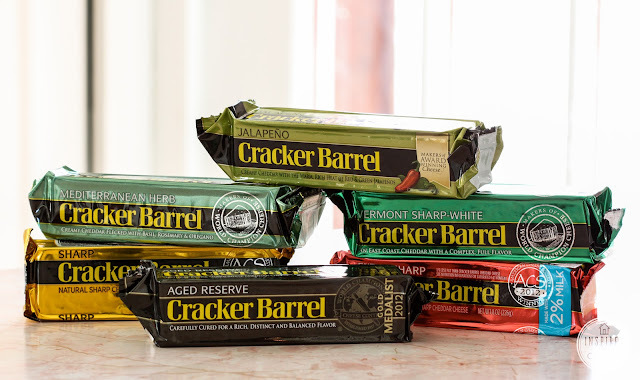 Especially when you are serving the rich, full-flavor Cracker Barrel cheeses! 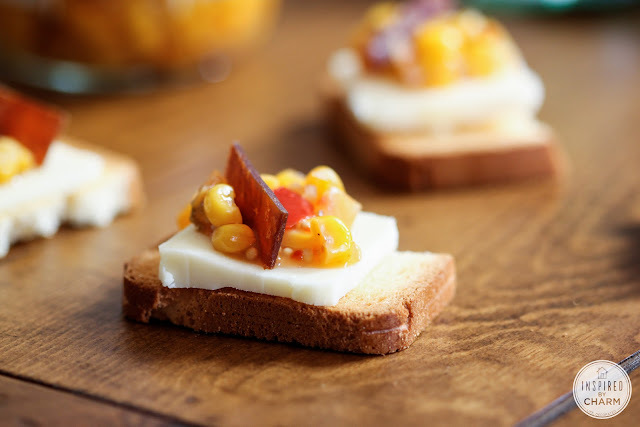 Well, today I am going to share some new cheese pairings inspired by the spring. I don’t know about you, but I am dying to get outside. Once I get my patio furniture set up, you can bet I will be outdoors with a glass of white wine, soaking up the sun. I may even invite a few friends over. 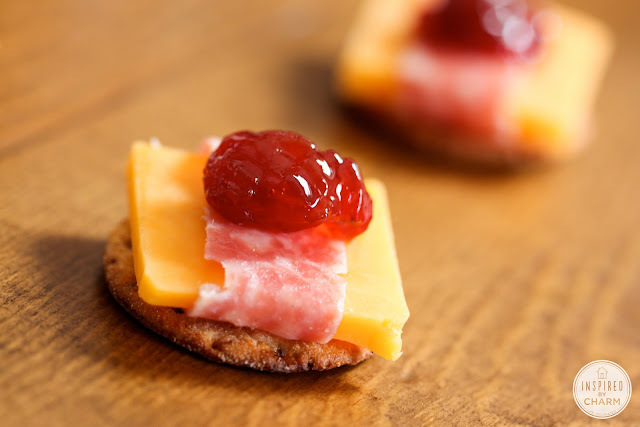 These cheese combinations would make for the perfect afternoon snack. 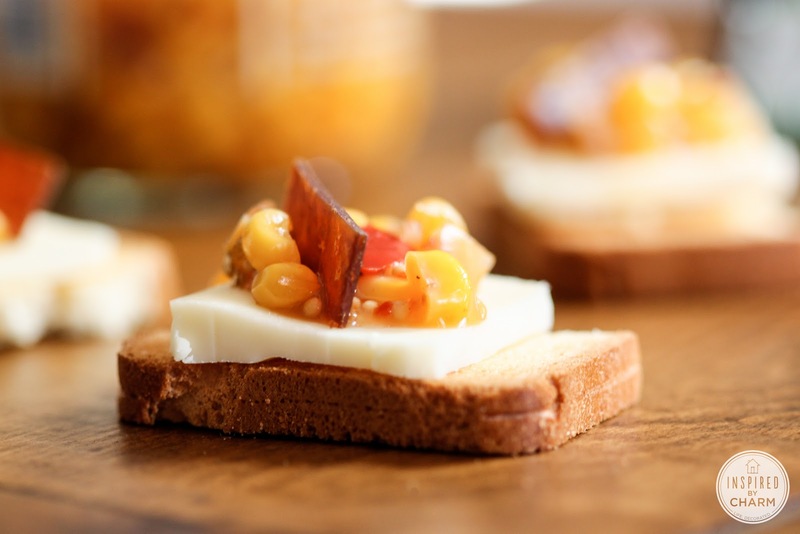 With little or no fuss, your friends will feel like you are serving them a gourmet treat! 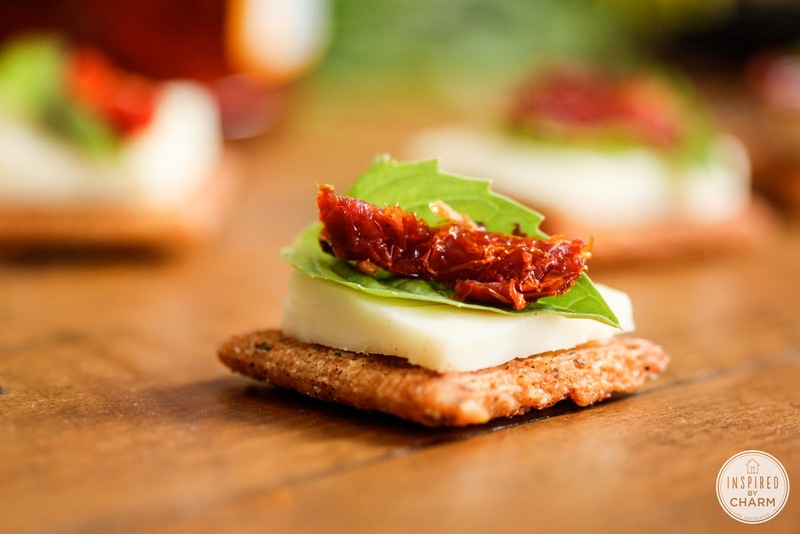 Let’s create these three spring-inspired cheese pairings! This is a delightful flavor combination. I love sun-dried tomatoes almost as much as I love cheese. I used sun-dried tomatoes packed in oil. I think these have more flavor. The basil adds a wonderful burst of freshness! 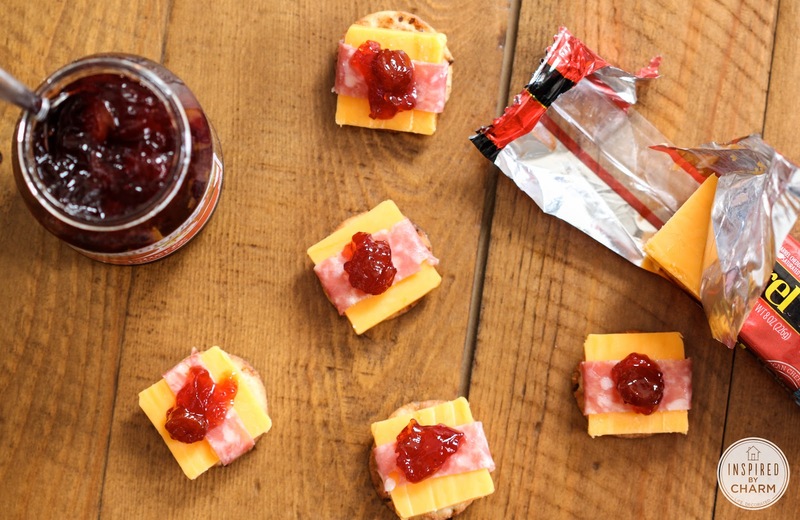 Jelly and cheese are almost as good together as peanut butter and jelly. 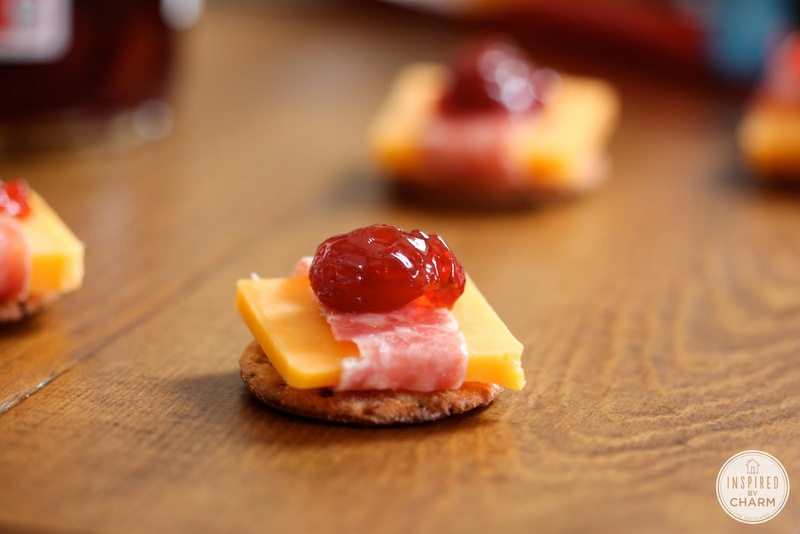 In this case, the cherry preserves really cut the sharpness of the cheese The addition of the salchichón (a Spanish salami [you could substitute prosciutto or sopressata]) makes this combination a winner! I decided to save the most unique pairing until the end. I am obsessed with this corn salsa sold at Trader Joes. 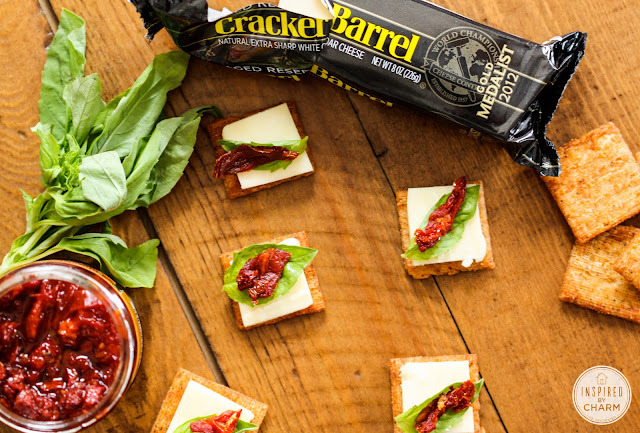 Who knew it could be so delicious on cheese and crackers. To make this flavor pair extra special and unique, I added a small slice of an apricot fruit bar. I know these combinations may sound odd, but trust me, they are pretty darn fabulous. You may never again look at cheese the same way. 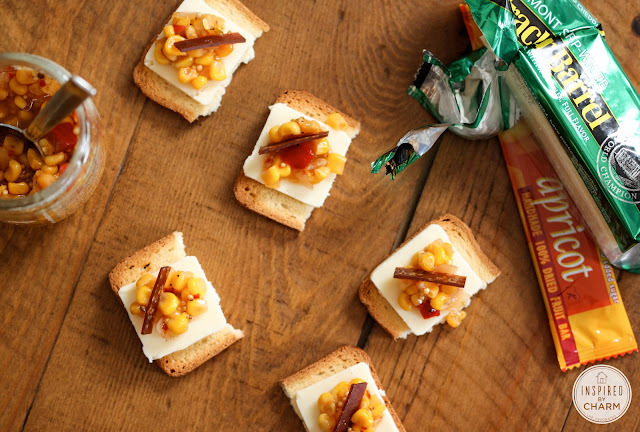 Give these pairings a try or create your own unique flavor combination. What pairing do you think you’d like best? 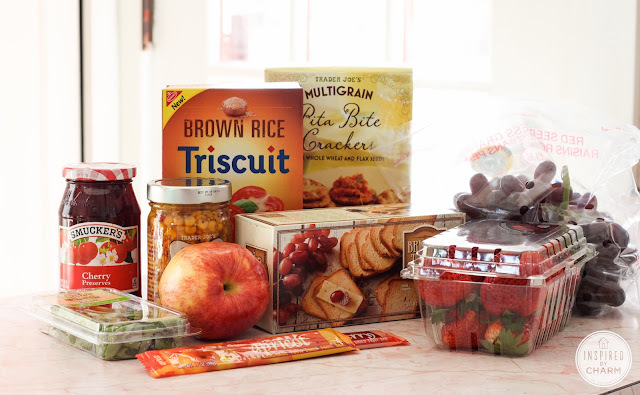 Will you be giving any of these a try? These look so delicious! Where do you buy the salchichon? How is it packaged? I found it at Trader Joe’s in the prepackage specialty meat section. I’ve seen similar meats at most grocery stores. that last pairing is so original, I’ve got to try it! you can never really have too much cheese. Amen. Yes – love the last one two. 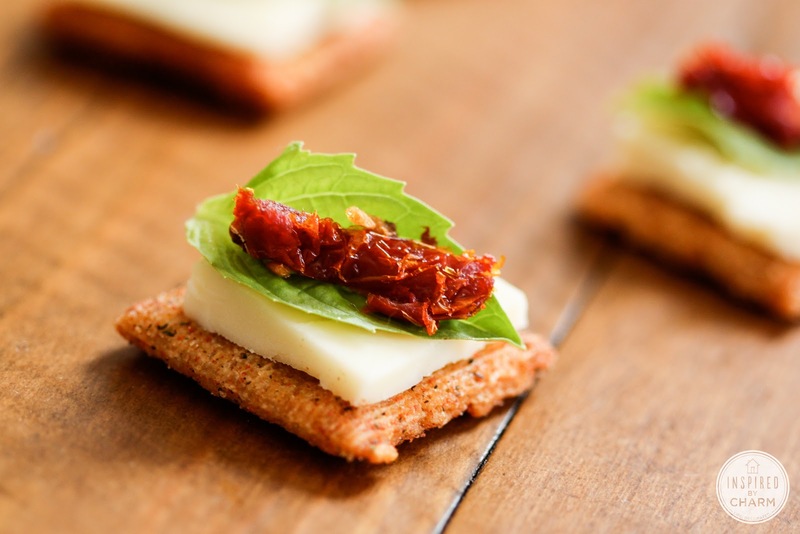 Though the sun-dried tomato is a personal favorite! Yum! These look delicious! Love your presentation! Thanks for the original yet simple and easy to copy (I mean make) ideas! I’m invited!? How thoughtful. I love a good happy hour on a deck! I assume cheese is gluten free, right? Just substitute a different cracker and you should be set. Yum YUM and YYYYYUUUUMMM!! Okay I got a bit carried away, but I cannot wait to try thee out, especially the last one! Haha! Let me know what you think. Enjoy! There really is nothing that cheese cannot make better. These all look wonderful! I’m hosting a game night soon – may have to try some of them. Thanks for sharing your ideas. OMG. Corn salad? You’re awesome. I’m obsessed with corn (I actually made corn ice cream last night lol…it’s good, I swear). Lovely post, Michael! These can include feeding the animals, walking the dogs, basic grooming, administering medications, changing litter boxes and cleaning up messes. customers, the existing entrepreneur also gets the details of the customers to help build their list. If not, you will be asking yourself, “Why am I not ranked higher.